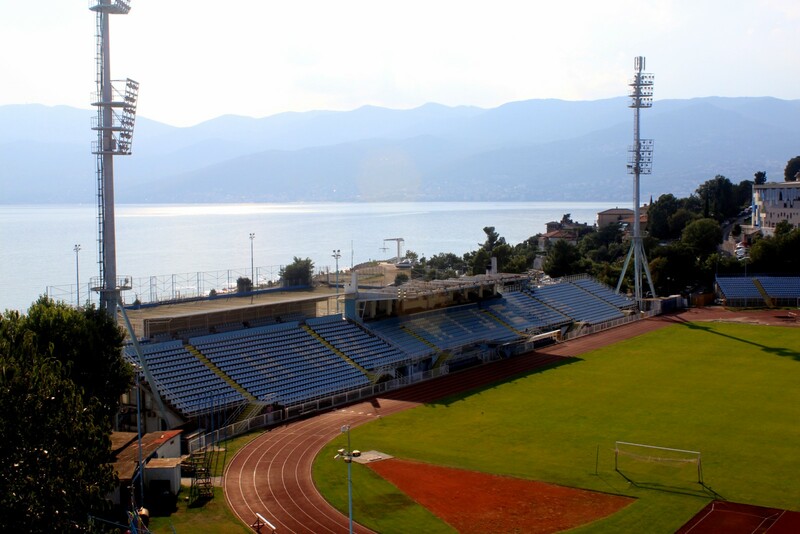 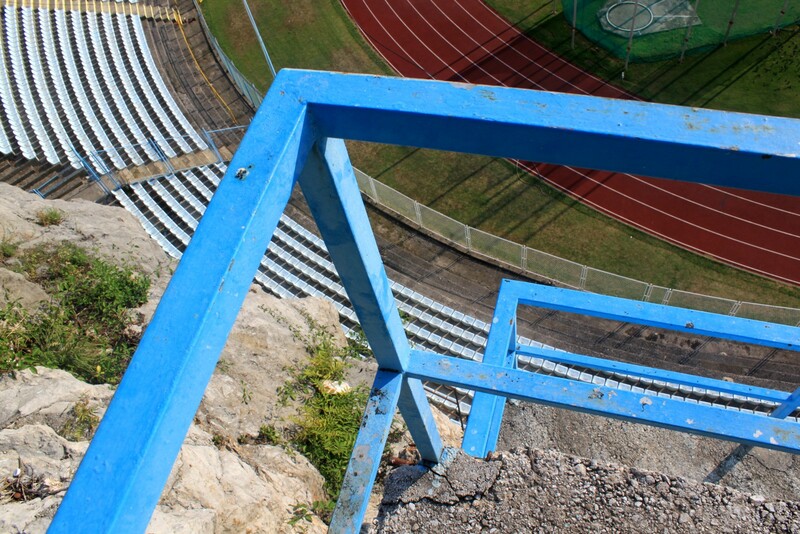 One of the world's most uniquely located stadiums was built in Rijeka in 1913 and for over century has astonished all visiting fans. 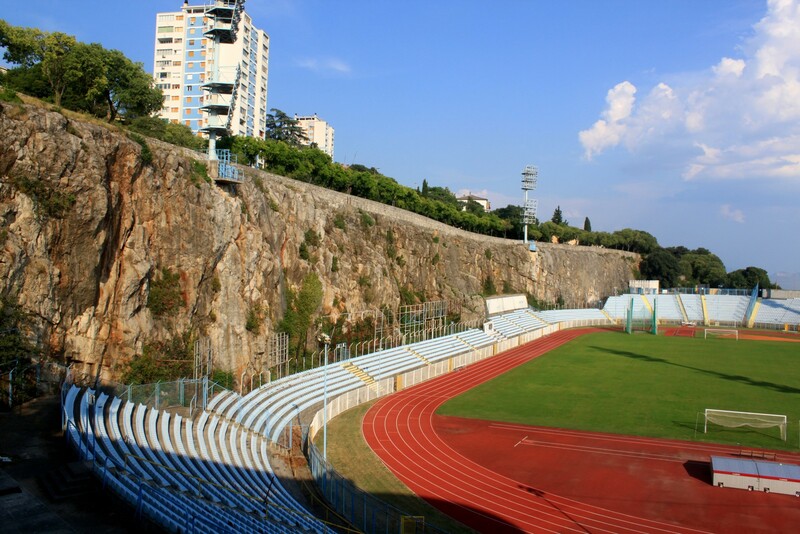 Erected just over sea level, it lies within the former rock quarry, with three stands built almost literally under rocks. 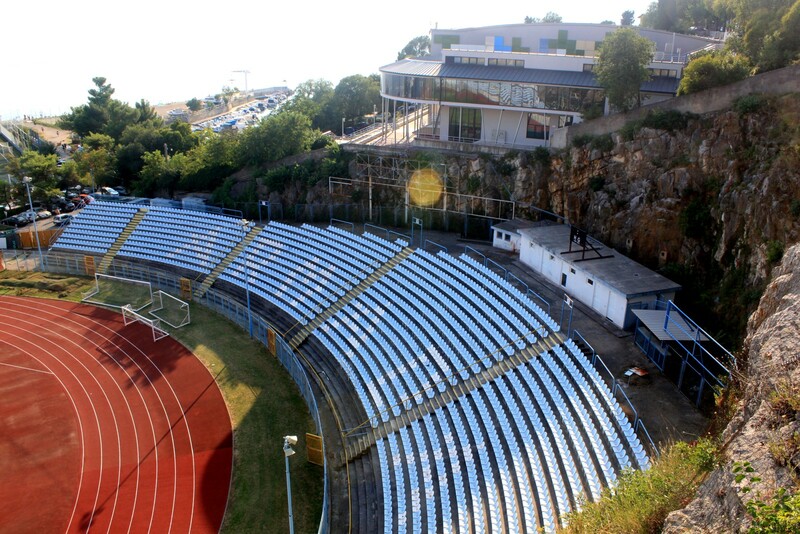 It's thus no surprise that it's often referred to in Croatia as “stadion pod stijenama” (stadium under the rocks). 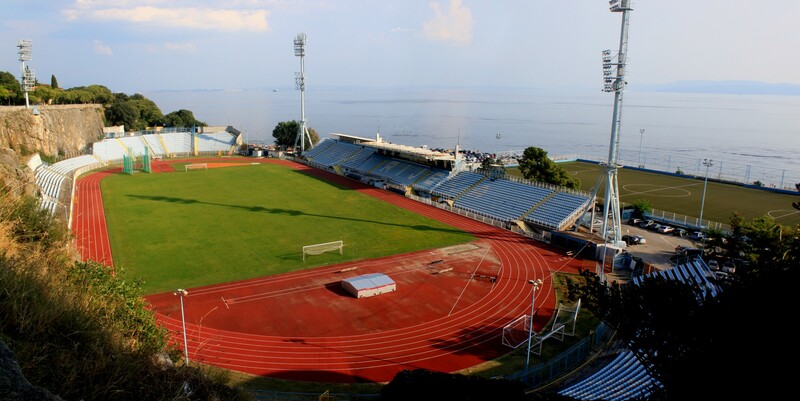 The stadium is also located just 7 meters from the beach, almost on the seafront itself. 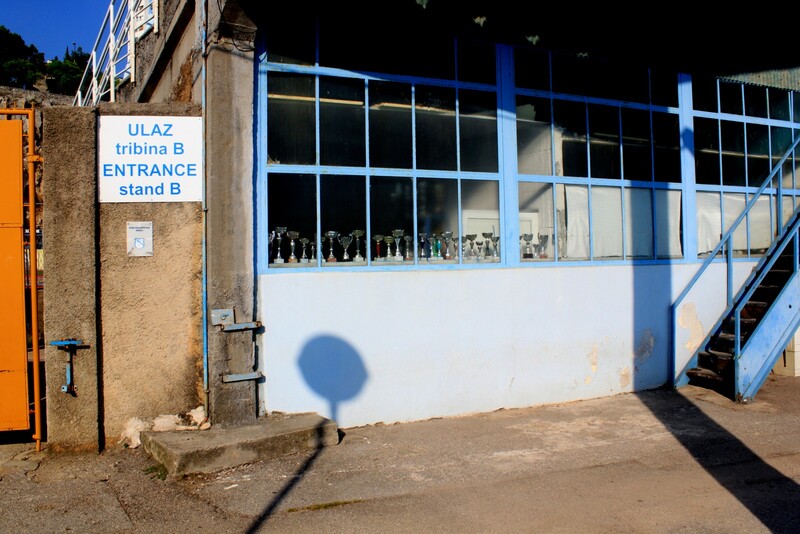 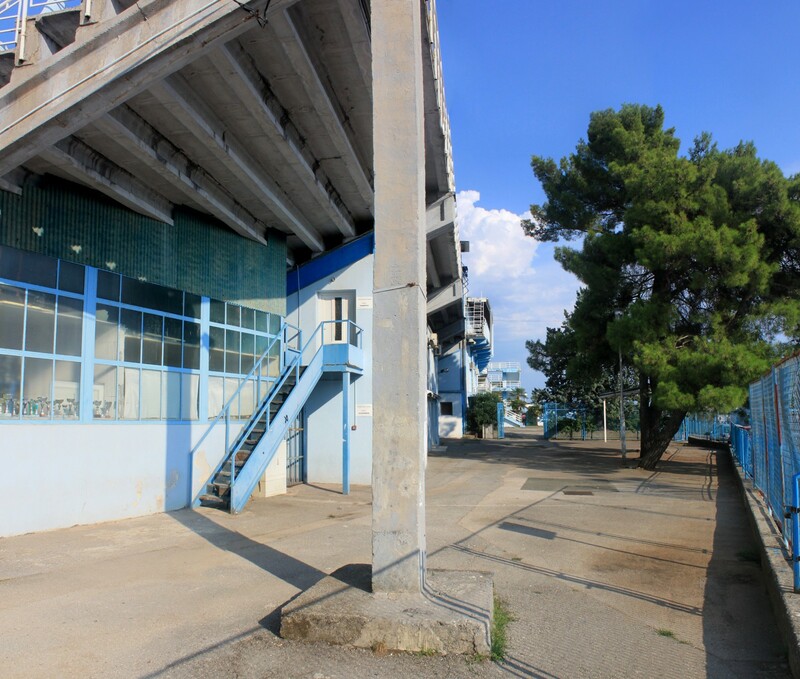 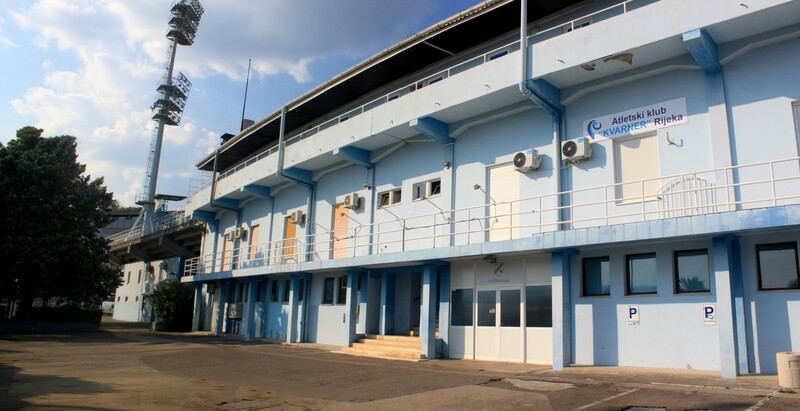 While it was built with athletics and football in mind, it's the latter discipline that brought it fame, largely thanks to the performances of HNK Rijeka, one of Croatia's most popular teams outside Zagreb and Split. 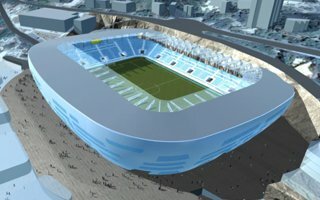 For crucial games of the side well over 20,000 people were drawn to this unique site, even though accessibility is an issue. 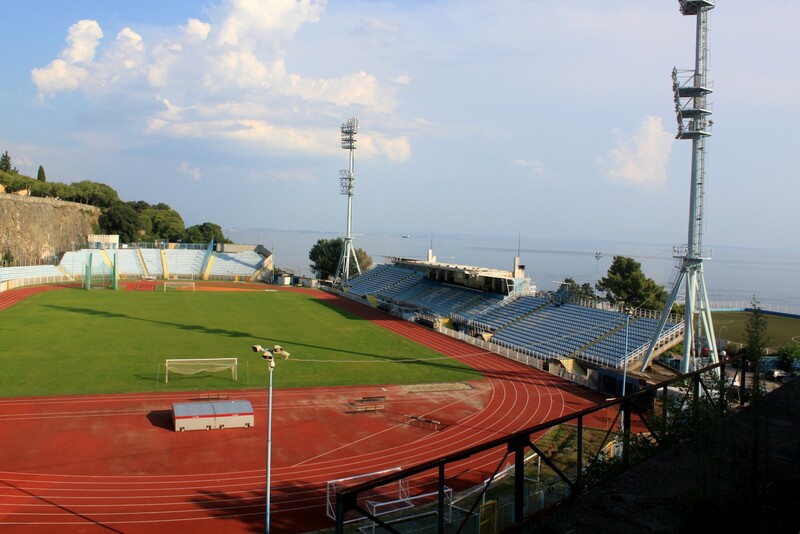 Most vocal fans from the 'Armada' faction occupy the western curve. 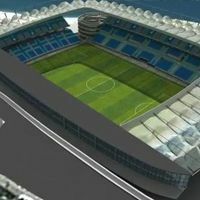 With the onset of all-seating in European football, capacity dropped by over half, to just over 10,000 people. 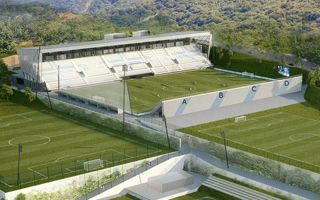 This, combined with complex location limiting options of expansion, prompted planning for a new venue. 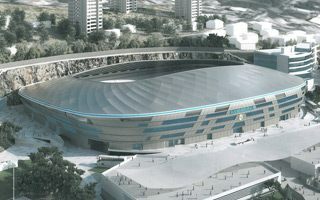 New Kantrida is expected to be built in a slightly shifted location, moved away from the rocks and thus losing some of the unmatched charm. 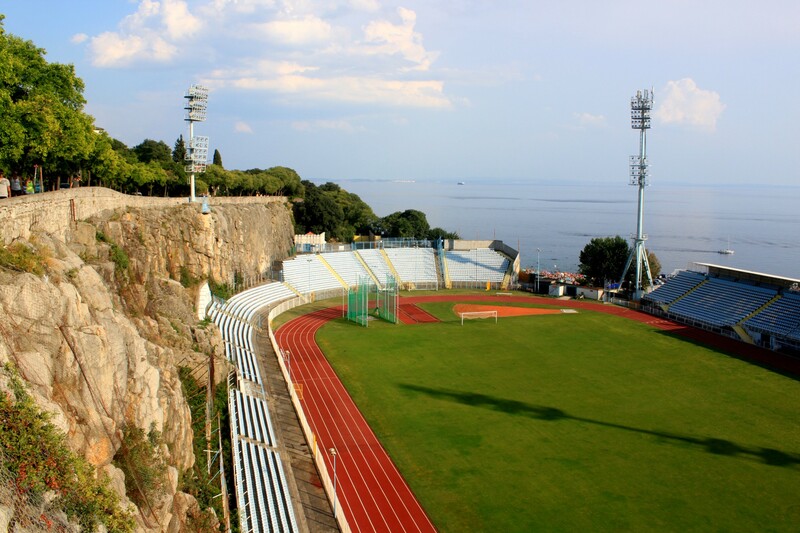 It would cover part of the existing training venue, beside the sea. 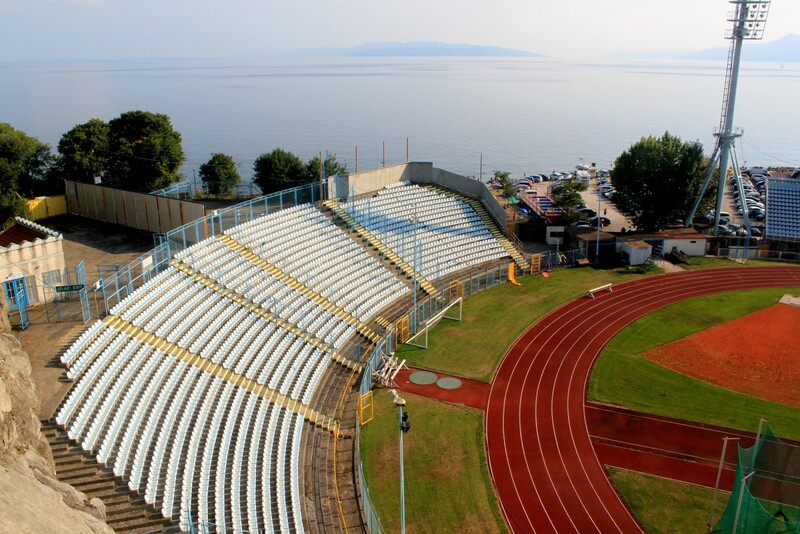 Today it’s one of the most uniquely located stadiums in the world. 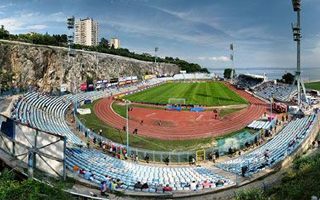 With rocks dominating the northern stand and Adriatic Sea just behind southern one, Kantrida offers a feel hardly comparable to any other venue. 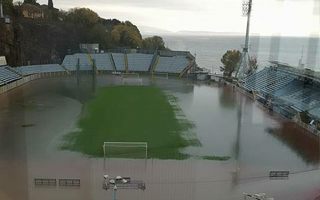 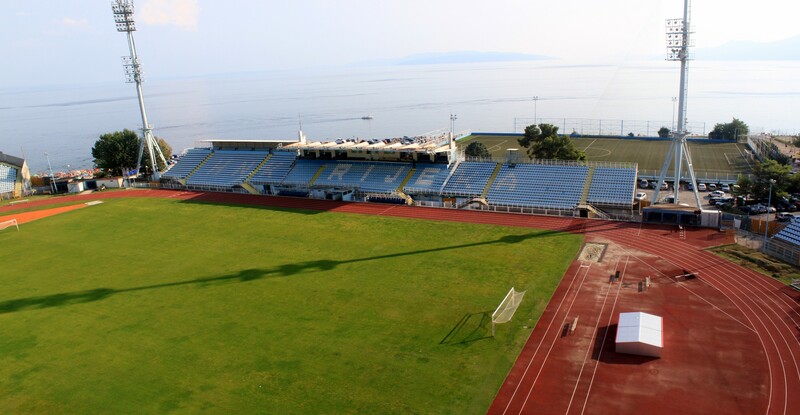 But if HNK Rijeka’s plans are to go forward, neither the rocks, nor the sea will remain visible.